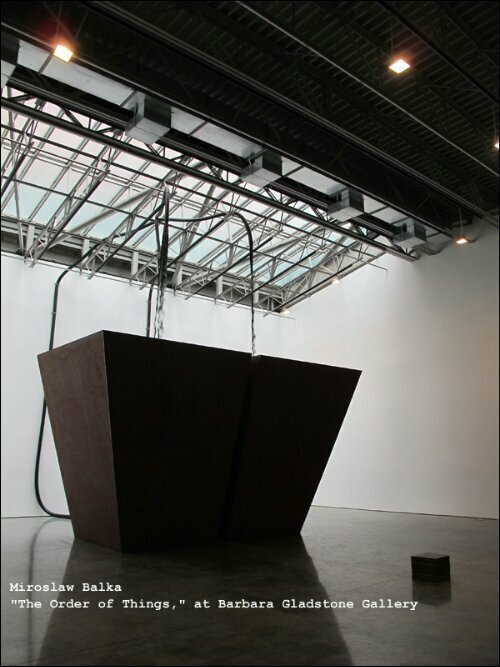 Miroslaw Balka’s “The Order of Things,” at Barbara Gladstone Gallery, is a monumental installation comprised of two massive steel tanks that recall the work of Richard Serra. The tanks are positioned under two rubber hoses that continually spout a loud rush of black water. The installation is impressive in both scale and presentation. The viewer is led to a small door in the quiet gallery lobby and then finds him- or herself overwhelmed by this loud and imposing structure that resides on just the other side of the door. 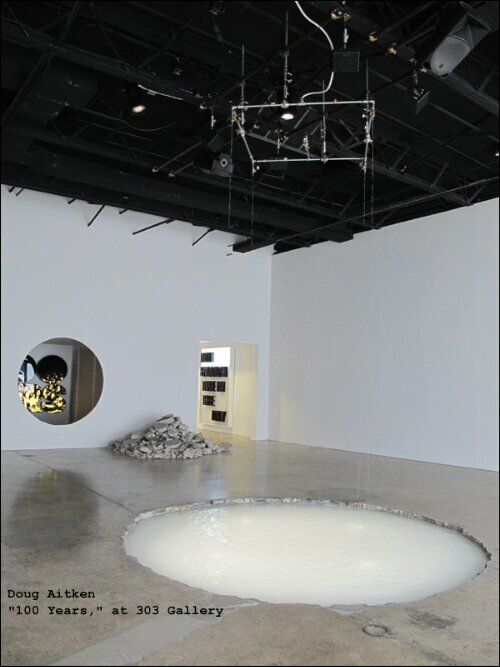 In Doug Aitken’s “100 Years,” at 303 Gallery, the viewer is presented with a rhythmically timed flow of ceiling-fed water drops that fall into a sunken pool in the center of the gallery. 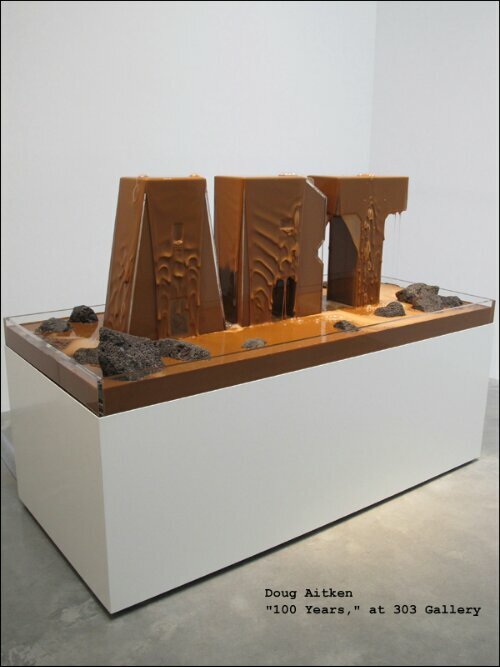 In addition, another piece features the word “Art” rendered in three dimensions and perpetually dripping with a caramel-like liquid. You can view a video of Aitken’s installation at http://www.303gallery.com. I can’t attribute any true trend or theme to these pieces, but the use of liquids is interesting in that it brings an element of change and motion to sculpture, which is otherwise thought of as static. These sculptures are truly never the same at any one time.